Please Note: This post was originally published in 2013, and since it has been updated with the recent list. In the past we had shared digital filing systems, we were limited to either paper systems or sharing files by electronic mail. Paper systems will need a significant amount of actual physical space, which is the reason digital systems can be so attractive. Digital systems take their very own challenges and tough situations though. Storing or sharing files online is the most simple way to store and share audio files, video files, large files, photo files, documents online for internet marketing business and personal users, enabling you to upload, share, back up, publish and access your files from at any place in a simple as well as quick way. It doesn't matter if you’ve already been using online file sharing for a number of years, you’re just starting or still just enthusiastic about it, it would be best to be doing it in the ﻿best way﻿ you can. 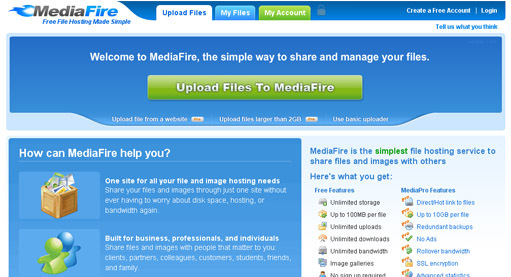 Anyway, I have for you a list of free services that offer to save and share your online FILES. 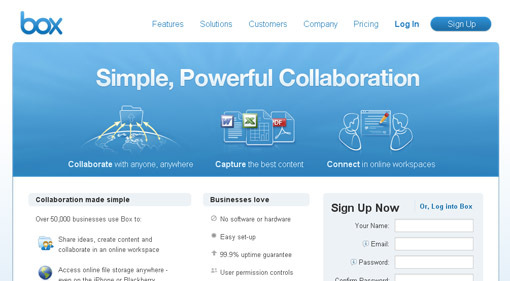 ShareCash is a simple storing and sharing files online site which has a one-of-a-kind idea. 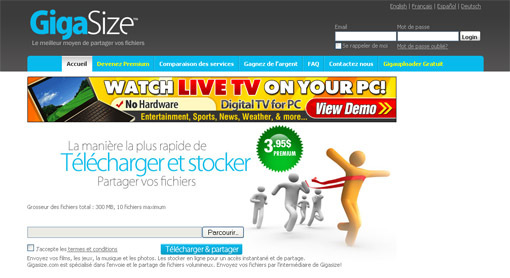 ShareCash.org makes it possible for members to put back into the toybox their files by uploading data files to their website and above all, ShareCash let members make money online when there are people in general downloading the data files uploaded only by members. 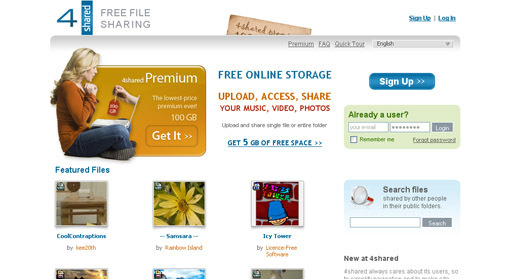 4shared is a free online file-sharing service that provides storage for music, video and photo files. 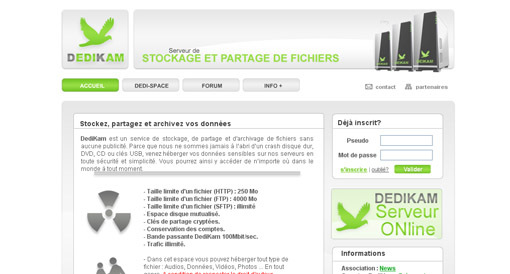 Upon registering for an account 4shared will provide users with 10-GB of online storage space. However, files stored by users with free accounts are removed if you do not log in the account for 180 days. 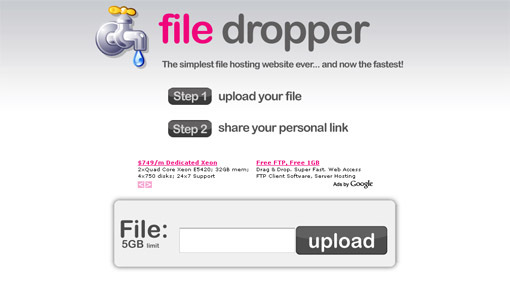 Filedropper | Share files up to 5GB, direct link to the images. Therefore, whether to save data on external media, store files that you can access from anywhere, or share files with friends or make it available to everyone on the Internet, online storage spaces are interesting solutions.